In today’s difficult climate it’s more important than ever that businesses can differentiate themselves and that’s where creativity comes in. Without innovation and new ideas, your business is restricted to being just the same as all of your competitors. If that’s the case, you can only ever compete on price and then it’s just a race to the bottom. If you really want to set yourself apart then you need to consider what you can do differently. How can you work differently, what innovative solutions can you offer your customers? As consumers we are always looking for something new – and we’re willing to pay for it too. Einstein once said “If at first the idea is not absurd, then there is no hope for it”, and this is something I always tell my students. If you are thinking of something truly new then of course it’s initially going to sound ridiculous – no one has ever suggested it before! 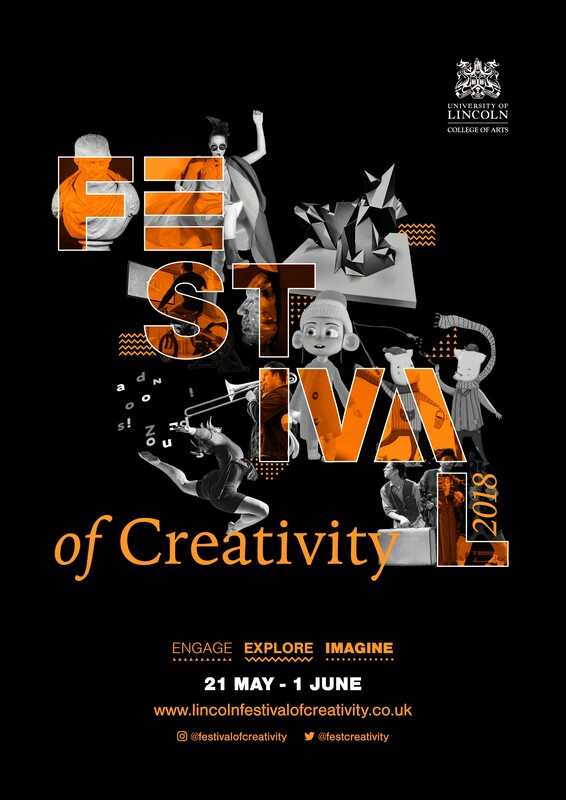 Last month the Festival of Creativity returned to Lincoln – a two-week celebration of creativity in all its forms offering the local community an opportunity to get involved with the University of Lincoln and enjoy the wide range of showcases, event and activities on offer. While last year was a great success, this time I was keen to get even more people involved. As someone who’s worked in the creative industry one way or another for most of their lives, I know the value of fresh thinking and innovation – something I was keen to get across during this year’s festival. Creativity is not a game, it’s serious business. So to address the challenge of creativity that businesses face, we worked with the Innovation Programme for Greater Lincolnshire delivered at the University and invited the talented Mandy Wheeler and Luke Sorba to deliver a free creativity workshop for local businesses. Funded by the European Regional Development Programme, the event challenged business leaders to think differently about creativity, to encourage innovation within their own organisations and overcome the barriers faced by those undertaking the creative process. And, that’s what businesses need to remember, to be more innovative. They need to encourage both themselves and their workforce to let go of the old rules and pre-conceptions and let their imaginations run wild. It can be very difficult to create something new but if you have the right mind-set then the ideas will flow. A mistake many of us make is to not distinguish between idea generation and idea development. They are two very different processes – processes that should be kept separate. Don’t stifle creativity by immediately evaluating each idea, simply let the ideas come. After all, the more ideas you have, the more likely you are to find the ‘big one’ – the one that changes everything. Throughout the Festival of Creativity I’ve tried to encourage people to think about what creativity means to them, but for businesses I think this goes a step further. It’s not just about what creativity means to them, but what it can do for them. Just go for it and remember, it’s okay to have ideas that don’t work – 98% of them won’t but that other 2% could be a success and it’s those ideas that can change your business, change the market, and maybe even change the world. That’s the really inspirational stuff. To arrange an interview with the academic, please contact Laura Jones in the University of Lincoln Press Office on +44(0)1522 886244 or email pressoffice@lincoln.ac.uk.